Investment News NZ is a David Chaplin production. 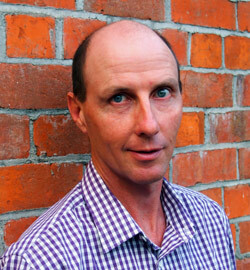 David is a reputed financial services journalist with over 15 years’ experience covering the investment, superannuation and advice industries in both Australia and New Zealand. In addition to publishing the weekly editions of Investment News, David contributes to several publications on a freelance basis. As well as a bi-weekly column published in the New Zealand Herald under the ‘Inside Money’ tagline for seven years until August 2015, his most recent articles have featured in Australian publications Asset, AFR Smart Investor and BRW. Previously, David edited a niche financial adviser industry monthly rag for five years after returning to New Zealand from a long stint in Australia where he served as editor of IFA magazine, a weekly publication aimed at the Australian financial advisory market. At one time in the distant past, he was also managing editor at the now-defunct ASX-listed firm InvestorInfo, which published IFA magazine, InvestorDaily, Investor Weekly and Masterfunds Quarterly. 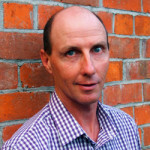 Among his other credits, David lists launch editor of weekly online Australian publication Investment&Technology News (I&T News), Money Management New Zealand correspondent and countless other freelance articles, reports and educational materials which he has since forgotten about or don’t carry his byline. In addition, David is head of research for and author of an annual KiwiSaver market report and a ground-breaking survey of New Zealand’s financial advisory industry. While he is familiar with most programs in the Microsoft Office suite, David has never produced a PowerPoint document.